Last weekend I put James “in charge” of where we would do our Saturday morning run and (without much knowledge) he chose to run from Upper Nihotupu Dam to the Upper Huia Dam, which involved traversing the very technical and muddy Christies Track. James hates technical tracks – he likes to run fast and the more technical a track is, the more he hates it. As he had already “taken one for the team” I decided to take him to Huia on the Monday (Waitangi Day) to run between the Lower Huia and Upper Huia Dams as it’s as non technical a trail as non technical trails get (and of all the Waitakere Dams, Lower Huia is (in my opinion) the most stunning scenery wise so I wanted share that with James). 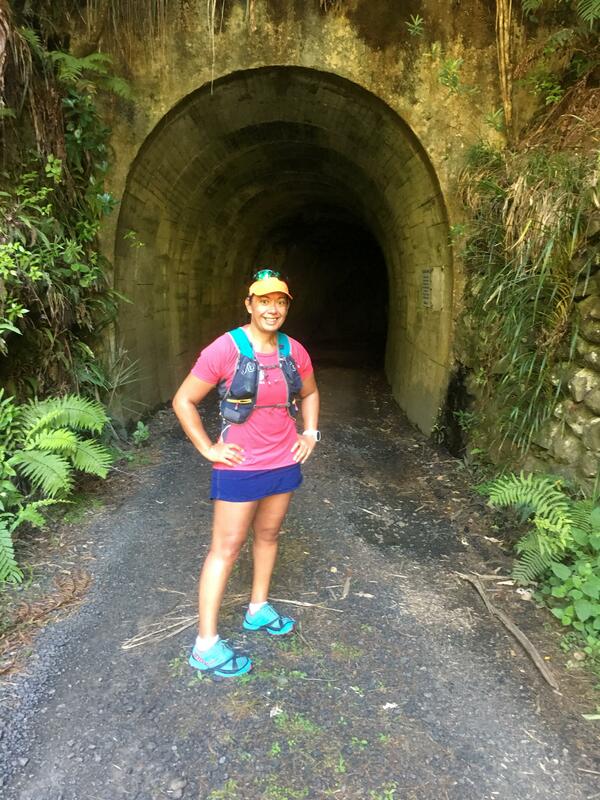 Anyhoo – Huia Dam Road (which links the two dams) is the one with the tunnel on it – you know the one where I waited for the scary random guy on the mountain bike to come and rescue me? This time however I came prepared! I had my very own Zombie protection aka the husband. You should go inside and shut your eyes for 30 seconds and then you’ll be able to see. Yes folks my husband wants me to go inside the zombie holes, stand in the dark and shut my eyes ..
Yeah that’s not going to happen … ever … ! !